ACi’s client, Allen Morris, and Ponce de Leon Towers were featured on Your World with Neil Cavuto on Fox Business News. Developed by Allen Morris and designed by ACi, Ponce de Leon Towers in Coral Gables will be a 17-story office building, inspired by the cathedrals of Spain. 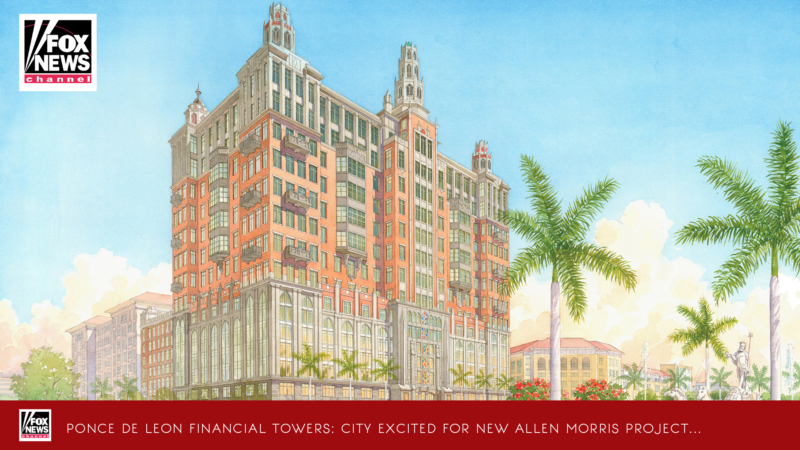 It is the sister building to the award-winning Alhambra Towers, also designed by ACi, and will be the second tower in downtown Coral Gables to be built by Allen Morris. The 575,000 sq. ft. building is scheduled for completion in 2011. Please click here to watch the video from the Fox News interview. Please click here to watch a video about the Rockerfeller Group’s Lease with Ponce de Leon Towers.